Sustainability is currently the hot topic when it comes to the future of the human race and our planet. Populations are growing, and a universal demand for an improved quality of life means we are consuming resources at an ever-increasing rate. Meanwhile the environment is coming under growing strain, manifested in myriad ways including global warming, pollution of our oceans with plastics, and declining biodiversity. 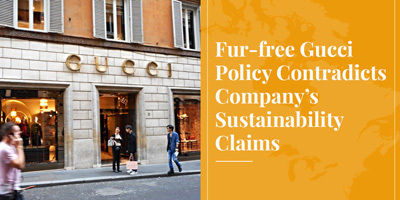 Against this backdrop, every sector of society must strive to ensure its practices are as sustainable and environment-friendly as possible, including the clothing industry of which the fur trade is an integral part. In practice, this means living on the “interest” that nature provides, without depleting our environmental “capital” -- the air, water, and natural ecosystems that we depend upon for our survival. Whenever possible, we should use resources that are renewable and that biodegrade (plants, animals) rather than resources that are non-renewable and do not biodegrade, notably petroleum-based plastics now found everywhere, from clothing to packaging to automobiles. 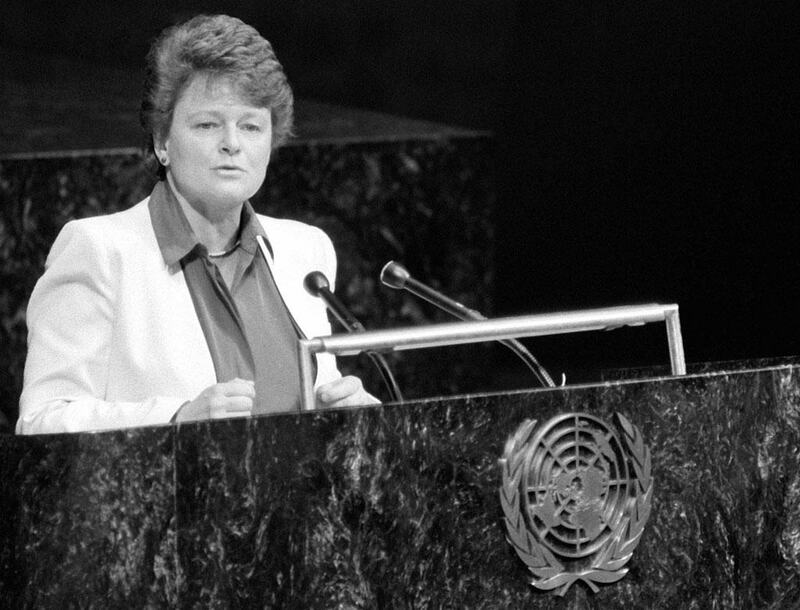 And we should use these renewable, biodegradable resources sustainably – that is, no faster than nature can replenish the supply. The sustainable use of renewable natural resources is based on the fact that most species of plants and animals produce more young than their habitat can support to maturity. The ones that don’t make it, feed others. As part of this natural system, we too can use part of this natural “surplus” for our food, clothing, shelter and other needs. 1. 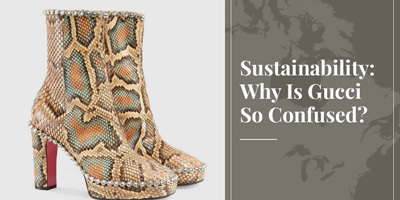 Wild-sourced furs: Sustainable use of an abundant and renewable resource. The modern wild-fur trade is an environmental success story. All the fur we use today comes from abundant populations, never from endangered species. To ensure that we use only part of the surplus that nature produces, trapping is strictly regulated in North America by state, provincial and territorial wildlife biologists. These regulations are effective: the most important North American furbearers (beaver, muskrat, marten, coyote, fox, raccoon) are abundant today – in some cases more abundant than they have ever been. In fact, furbearer populations would have to be controlled in many regions even if we did not use the fur, to prevent the spread of disease or to protect livestock, property, other species and natural habitat. Complementing these national controls, since 1975, the Convention on International Trade in Endangered Species of Wild Flora and Fauna (CITES) ensures that wildlife is not endangered by trade between countries. Wild furs are, in fact, the ultimate free-range, organic and (for North Americans) locally-sourced clothing material. By contrast, most synthetic materials are made from petroleum, a non-renewable resource. Trappers also play a vital role in conservation, as our eyes and ears on the land. Their harvests provide important information for biologists about changes in wildlife populations and their habitat. For example: a decline in wild mink captures may signal problems with reproduction, caused by pollution upstream – a problem that might not have been noticed otherwise. We all care about nature, but most of us now live in cities. Trappers are the ones who live close to the land and can sound the alarm when nature is threatened by industrial activity. 2. 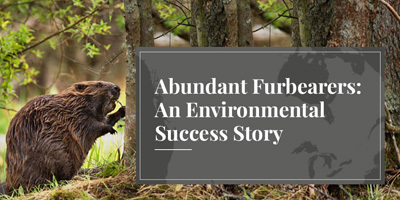 Farm-raised furs: Completing a sustainable agricultural nutrient cycle. Mink and fox are the most commonly farmed furbearers. They are carnivores, and are fed left-overs from our own food-production, e.g. the parts of cows, chickens, fish and other food animals that we don’t eat. In some cases this may be almost 50 percent of the total biomass that might otherwise have ended in landfills. Farmed fur animals recycle these “wastes” from our food-production system into a beautiful, long-lasting and ultimately biodegradable clothing material, while their manure, carcasses and soiled straw bedding are used to produce biofuels or organic fertilizers, completing the nutrient cycle. Fur animals are raised on small, family-run farms, providing employment and supporting rural communities. And fur farms can thrive in regions where the soil is too poor or the climate too harsh for most other agriculture. And again, while not strictly a sustainability issue, it is reassuring to know that fur farmers provide their animals with excellent nutrition and care. Animal welfare is assured by legislation and various codes of practice, but, above all, because excellent nutrition and care are essential to produce high-quality fur. 3. 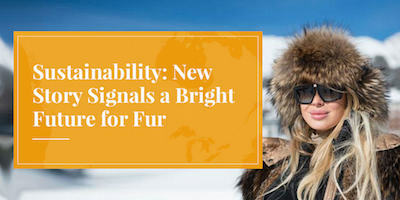 Fur apparel – a responsible and sustainable clothing choice. The production of fur garments, whether from wild or farm-raised pelts, is one of the most benign sectors of the clothing industry today in terms of environmental impact. Animal activists claim that the "dressing" process for furs is harmful to the environment, but in reality the main materials used to dress fur pelts are either organic or naturally occurring compounds, and modern environmental protection controls ensure that there are no harmful effluents. 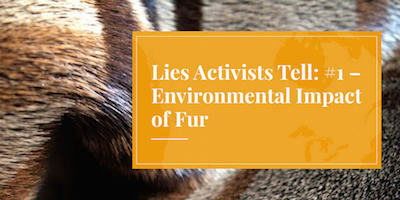 Notably, activists have intentionally sought to besmirch the fur trade by falsely equating the environmental impact of fur dressing with the far more polluting processes employed in leather tanning and finishing. In fur dressing, relatively mild chemicals are used because the hairs must be protected, unlike in leather tanning, in which the hairs are burned off. It is also worth noting that unlike other clothing materials, furs are often valued for their natural colours, reducing the need for bleaches and dyes. By contrast, fake fur and other synthetics proposed as alternatives to fur are generally made from petroleum, a non-renewable resource. Every stage in the production of petroleum-based synthetics is associated with pollution, from extraction of the raw material, through harmful emissions during high-temperature chemical reactions, right up to disposal of unwanted garments. 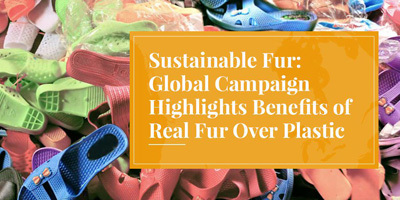 Fake furs and other petroleum-based synthetics do not biodegrade like real fur. In fact, a growing body of research is showing that tiny particles of plastic leach into the water every time these synthetics are washed, entering the marine food chain and even our drinking water. "Guess what's showing up in our shellfish? One word: plastics." National Public Radio, Sept. 19, 2017. "Your clothing may be polluting Canada's waterways, study says." By Tania Kohut, Global News, Mar. 24, 2017. "How your clothes are poisoning our oceans and food supply." The Guardian, June 20, 2016. "Is your fleece killing the ocean?" By Tom Philpott, Mother Jones, Dec. 9, 2011. Furthermore, fur apparel is still crafted largely by hand, individually, by skilled artisans using knowledge and skills that have been passed through generations. 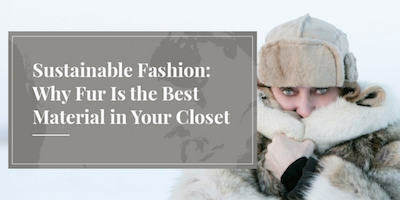 And fur apparel is remarkably long-lasting. A well-made mink or beaver coat can be worn for thirty or more years. Fur apparel is often passed down to daughters or grand-daughters. It can be worn “vintage”, or taken apart and completely restyled. Or recycled to make pillows, blankets or accessories. And after many decades of use, fur will ultimately biodegrade, returning to the soil. Sustainably and responsibly produced. Hand crafted using heritage skills. Naturally warm, beautiful, long-lasting and ultimately biodegradable. Today more than ever, fur is an intelligent choice.